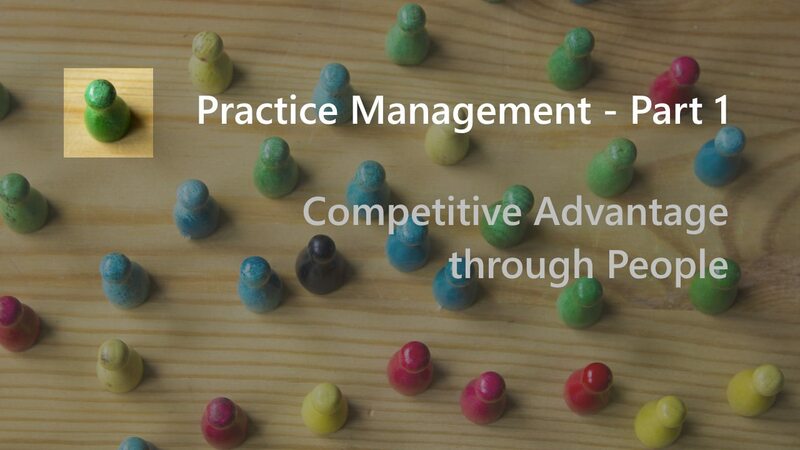 In a highly competitive market, to stay ahead of the competition, an organisation must have a competitive advantage. Without a competitive advantage, products and services will just be a commodity. A kilo of white sugar costs the same in all supermarkets. Cost of a Software Developer with a generic skillset in a specific location is relatively similar. The market decides the price. Profit margins are low. Organisations must find their competitive advantage. One typical strategy is to undercut the competition, sometimes even at a cost. But is it sustainable? For how long can you keep your prices lower than the competition? How can you keep your costs low? Are you not going to provide pay increments for your employees? To sustain your competitive advantage, an organisation must have distinctive capabilities which are difficult to replicate. An organisation with a competitive advantage can provide superior products and services to their customers while enjoying a healthy profit margin. How do we achieve a competitive advantage through your employees? It starts with improving employee satisfaction. Satisfied employees are more productive and loyal to the organisation. Increased productivity delivers better outcomes and value for customers, which improves customer satisfaction. Highly satisfied customers not only prefer to have a long working relationship but also becomes an advocate for your products and services which results in financial success for an organisation. Employee satisfaction is not just about money. In my field of interest, technology consulting and product development is a highly competitive market with high staff turnover. In my experience, simply providing a higher salary will not help retain good talent. As a leader, understanding the interests of your team members, giving them the freedom to take risks to test out different ideas, encourage and provide opportunities to learn and offer training, no micro-management but support when needed, being empathetic and not focussing only on the bottom line and utilisation, keeping regular communication with team members working on longer client engagements, and listening to their cries and taking action to resolve the issues are some of the key areas to consider in increasing employee satisfaction. Without the focus on looking after their employees, organisations risk having a vicious cycle into financial doom. Unhappy employees are not motivated to go the extra mile to deliver high-quality software products or provide great customer service. When the customers are unhappy they terminate the contracts, move to another consultancy to seek better service, or demand free services until the product is complete as promised which results in lower profits or even loses. Lower profits trigger pay freezes and reduced training, which further lowers employee satisfaction. I have seen employees leaving consultancies like a bomb gone off inside. Technology consulting is a people business. One of my responsibilities is to grow the team by hiring new staff and retain existing staff. Culture and personality fit is the most important criteria when hiring consultants which is our one of our competitive advantages.